By 2020, the United States greenhouse industry is expected to grow to $4 billion thanks to the demand for more indoor production. The demand is driven by limited labor, land, and water, as well as the need to produce more for less, which means operating costs are on the top of growers’ minds. Running a greenhouse is a 24/7/365 job that requires an immense amount of overhead for managing lighting, heating, humidity, ventilation, shading, irrigation, and more. Wrangling the countless variables involved with running a commercial greenhouse isn’t a manual job—it’s a job for a grow room controller. Automated solutions are able to help with controlling every aspect of the growing cycle from a single programmable controller. By monitoring and analyzing environmental conditions, you can easily program a controller to creates environmental consistency by turning devices such as lighting, curtains, vents, exhaust fans, and more automatically. Sensors placed throughout the greenhouse can measure temperature, humidity, CO2, light, and VPD so that your grow room controller can automatically adjust to ensure your greenhouse has the right environment at all times — 24/7/365. With a smart grow controller, you’ll spend less on labor and save hours that you would otherwise be manually monitoring the dozens of variables that go into greenhouse management. Growers looking to reduce overhead are turning increasingly to technological enhancements, especially around environmental controls. Most industry pros agree that commercial greenhouses can save the biggest amount of money by implementing solutions geared toward energy efficiency and conservation. Greehouse controllers increase efficiency by using automation and sensors to adjust environmental conditions automatically and on-the-spot in order to meet the exact needs of plants. Have you thought about air leakage or what happens if environmental conditions outside the greenhouse change and alter your in-house environment? With a grow room controller, growers don’t have to worry about overusing resources that aren’t needed to produce ideal growing environments. In a study of Germany's greenhouses, Greenhouse Product News found that a dynamic control system that lowers greenhouse temperature in the morning can lead to a reduction of 25 to 40 percent in energy costs with no other major investments and zero loss of plant quality. With a grow room controller, these process are automated so you can efficiently leverage mother nature’s natural sunlight and heating at the right time in the right way. Beyond savings from increasing energy efficiencies, greenhouse controllers can impact the bottom line of a large greenhouse in a number of other ways. Labor: Robust greenhouse controller solutions allow for remote, 24/7 monitoring crops of environmental variables. This decreases the number of people you need physically in the greenhouse, which reduces labor costs and prevents productivity lulls and wasted wages. Resources: The internet of things (IoT) has delivered a powerful solution with sensor triggers and automation. 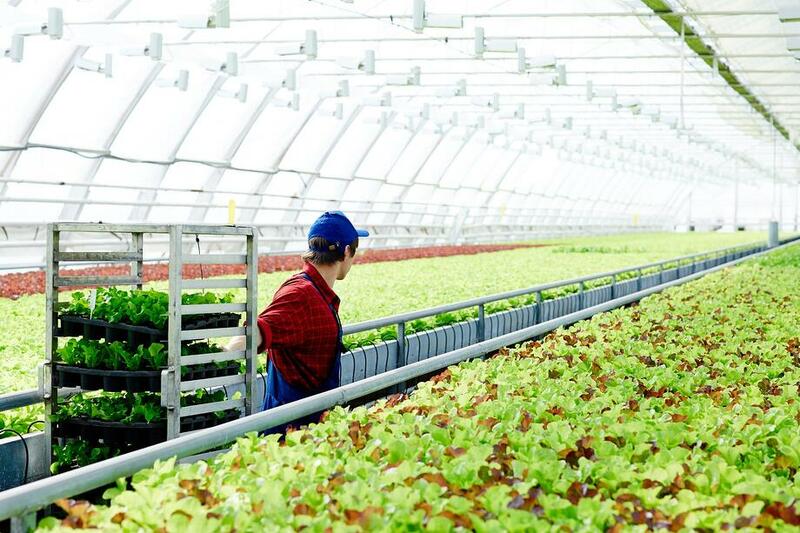 By automating processes, growers can increase crop yields by ensuring a consistent environment and save money in the process by lowering energy use and decreasing labor costs. Better yet, this means growers have the time and energy to pursue business expansion or other interests. Data: Greenhouse controllers can track data over time, giving the grower insight into which combinations of irrigation, nutrition, lighting, and humidity promote the highest yields. Leveraged across multiple harvests, this data can help growers to maximize their outputs while making effective use of resources and minimizing operating costs. Controllers can be accessed remotely, and a digital interface such as a smart phone app that gives the grower access to data, alerts, and controls whenever, wherever. Through the use of sensors and automation, greenhouse controllers are able to simultaneously leverage the availability of sunlight, plan for solar gain, and carefully balance vital growing variables, including nutrients, CO2 levels, temperature, and humidity. The aim is to use a combination of automated schedules and remote management tools to create an ideal growing environment and establish energy-efficient climate control. Commercial greenhouses that implement an advanced controller solution can not only mimic the natural conditions that a plant needs in order to grow, but can also manipulate variables to create a better environment to increase quality and yield through the collection of leverageable data. Temperature, lighting, irrigation, air quality, and water conservation combine to account for most of the energy consumption in a commercial greenhouse. Remote control of these variables helps the greenhouse operator to adapt to the specific needs of the crop with a high degree of precision, fine-tuning energy consumption across the span of the plant’s life cycle. The net result: healthier crops and lower energy expenses. Ready-made systems are available and can be easily implemented to maximize crop quality and production while optimizing energy use, labor, and other operating expenses. With the right controller, growers can do more with less, increase energy efficiency, create more ideal and accurate growing environments, and boost the bottom line. If you’re ready to find out more about integrating a grow room controller solution into your greenhouse operations, schedule a free consultation today with our controlled environment ag experts.